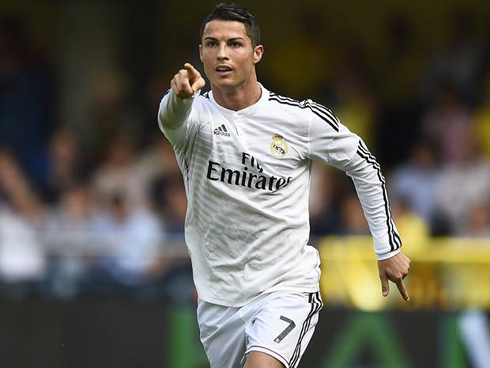 ﻿ Ancelotti: "Cristiano Ronaldo will not return to Manchester United next season"
20.10.2014 » Ancelotti: "Ronaldo will not return to Manchester United next season"
In an interview granted to the DailyMail, Carlo Ancelotti had no problems in admitting that Real Madrid may currently be depending too much on Cristiano Ronaldo. The Italian manager also stated that the Portuguese superstar won't be joining Manchester United anytime soon and that he will most likely finish his career in his current club. Ahead of a very important week for Real Madrid, where the European champions are set to face Liverpool in a mid-week UEFA Champions League fixture and Barcelona next Saturday for the first Clasico of the season, Carlo Ancelotti agreed to talk with the DailyMail, a popular newspaper in England. In what turned out to be a very short interview, the focus was naturally put on the Merengues' biggest star of all, the Portuguese forward Cristiano Ronaldo. 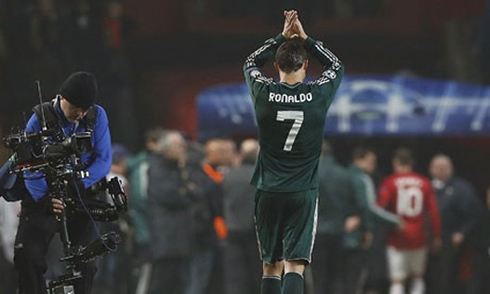 The Italian manager confirmed that CR7 has indeed been the best football player he has ever coached and that Manchester United fans have no reasons at all to keep deluding themselves about the possibility of Ronaldo joining them next season. 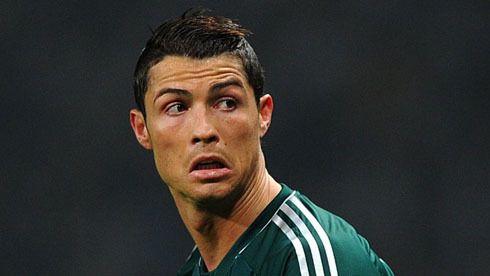 Much has been said about Manchester United's interest in CR7 and about Ronaldo finishing his career in Real Madrid. In Carlo Ancelotti's view, there's no reason to believe that the 29-year old could decide going anywhere else at this stage of his career. Ancelotti: "Everyone can be replaced in a football club, but right now, Cristiano Ronaldo is quite simply the best player in the world. If he were to leave us, it would be a massive loss. That won't happen though, because I believe that Ronaldo will finish his career in Real Madrid", convincingly affirmed 55-year old manager, who has been coaching Ronaldo since the summer of 2013. 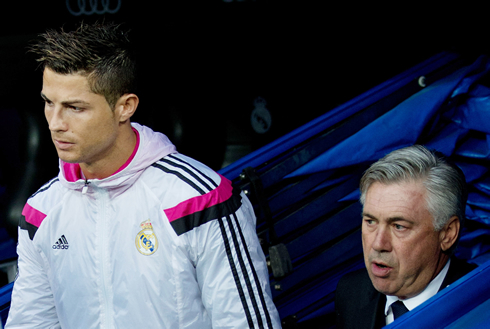 Ancelotti: "I feel 100% secure to say that Ronaldo won't go to Manchester United next season. I can't be wrong about that, because he's extremely happy here in Madrid, and he's very loved by everyone around him. The club is delighted to have the best player in the world in its ranks. The way I see it, there's a perfect relationship between club and player." Even though starting Ronaldo almost guarantees your team to always score at least a goal, that doesn't necessarily mean that Real Madrid will be capable of visiting Liverpool in Anfield and easily come out with the 3 points. Carlo Ancelotti: "Cristiano Ronaldo can indeed score against Liverpool on Wednesday, but we may still end up losing 2-1 or 3-2. However and according to statistics, we can always count on Ronaldo to deliver at least a goal... We're talking about a player who has scored close to 280 goals in 250 games for Real Madrid and that's obviously a great advantage for us", remarked the former AC Milan and Chelsea manager. Ancelotti: "It wasn't an easy decision for me to come out publicly and state that Cristiano Ronaldo was indeed the best football player I've ever coached. I've had the fortune of coaching some of the very best players in the game, including defenders and goalkeepers. It's a long list of incredible players. But it's true, Ronaldo keeps surprising me positively, as he keeps scoring goals in every single match", said the Italian manager. Cristiano Ronaldo next game for Real Madrid is a UEFA Champions League fixture against Liverpool, on October 18 (Saturday). You can watch Juventus live stream, Liverpool vs Real Madrid, Barça vs Ajax, CSKA vs Manchester City, Chelsea vs Maribor, and AS Roma vs Bayern Munich, all matches provided from our soccer live section.